A heavy-duty kneeler cushion giving ideal protection for the knees while working in the garden. 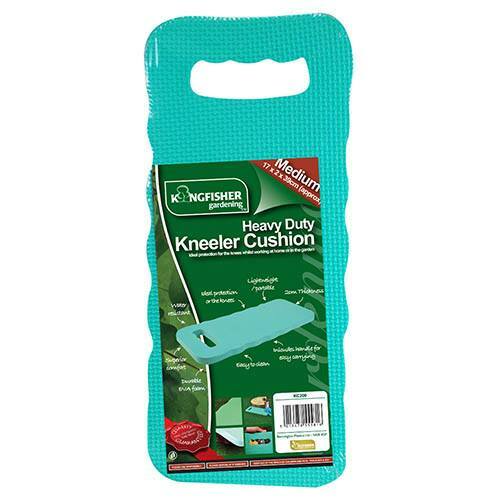 This lightweight and portable kneeler pad is made from 2cm thickness of durable EVA foam, giving ideal knee comfort. Water resistant and easy to clean, the green foam pad also includes a carrying handle to make it easy to move around as you work. Approximately 17 x 2 x 39cm.